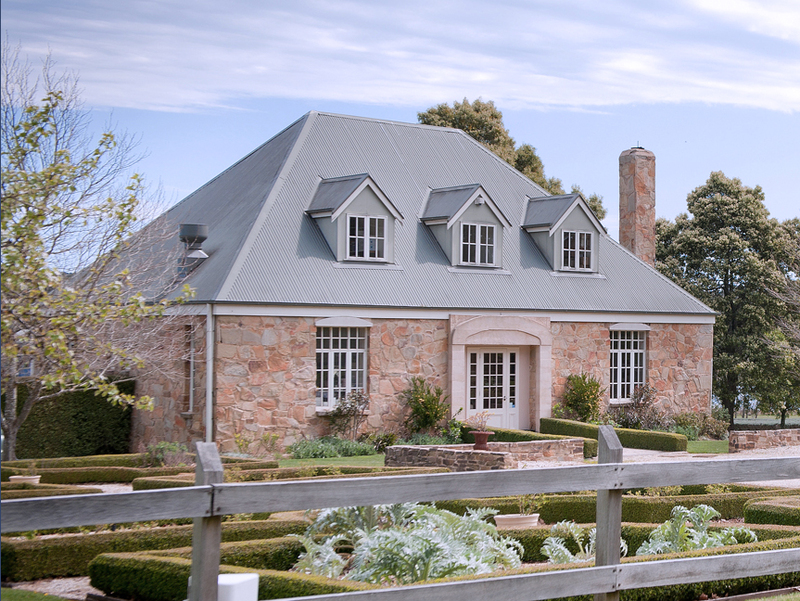 One of my favourite spots for a weekend getaway is Daylesford, Victoria’s very own spa country. Daylesford is a peaceful and tranquil town which first became famous for its mineral springs and spas. Now it has blossomed into a well-deserved foodie destination in its own right, for its rich produce and award-winning restaurants. Whether it’s a cosy escape to a log cabin in winter or a lakeside cottage in summer, Daylesford is certainly a town which is fit for the seasons. Here’s my foodie guide to Daylesford covering all the best things to eat and drink in Daylesford. 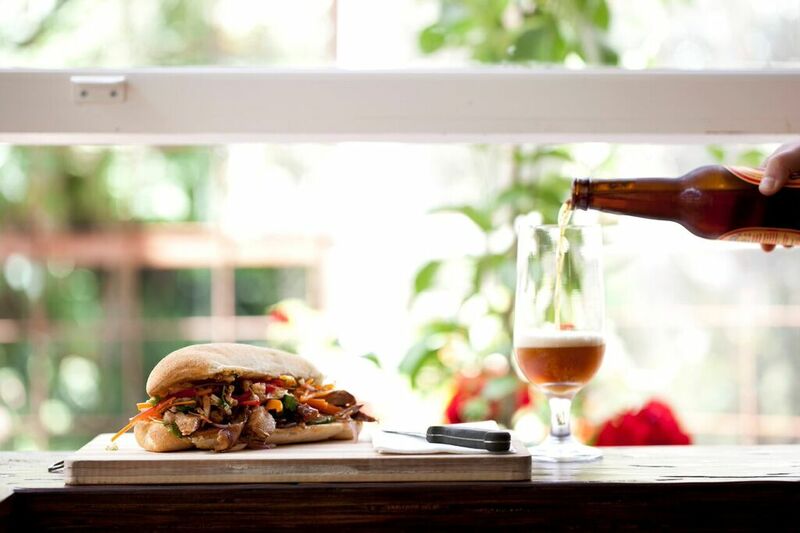 One of the spa country’s finest restaurants is Sault Restaurant on Ballan -Daylesford Road. Beautifully set on a spectacular 125-acre estate, the restaurant is housed in a gorgeous sandstone country building. Flanked by purple lavender fields and a pristine lake, you’ll be transported to the French countryside in Provence in no time. Hailing from Spain, head chef Santiago Nine-Fernandez, has crafted a spectacular produce driven menu, showcasing the best of Modern Australian cuisine. A tasting menu is available for $75 per person. Think Basque-style blue swimmer crab paired with crispy bread tuile, paprika, potato and saffron aioli and a delicious Sher wagyu with San Simon cheese, radish, caramelised onion and mustard leaves. Kick back, relax and enjoy the food and the breathtaking views over the lake, and Wombat State Forest beyond. A memorable experience. The two-hatted Lake House restaurant has single-handedly put regional Victoria on the world-class dining map. 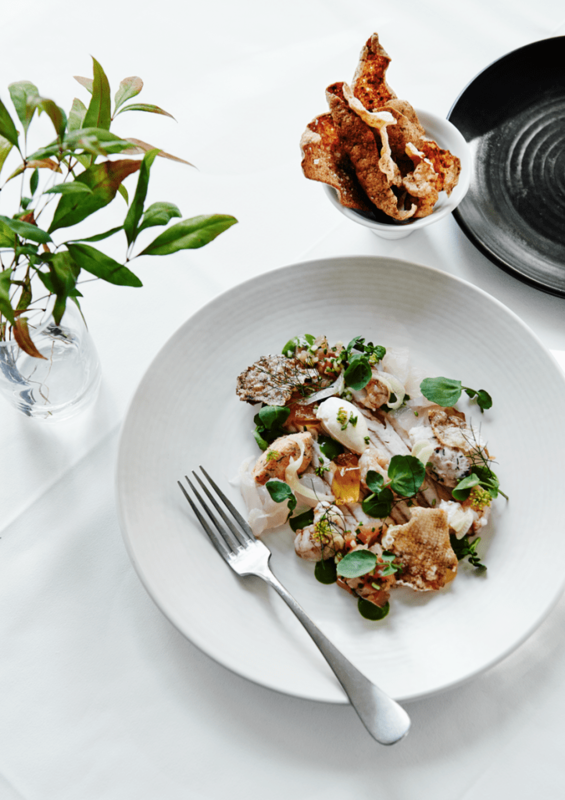 Alla Wolf-Tasker (Co-owner and Culinary Director) and Head Chef, David Green, are the dream force behind the restaurant which is forever reinventing its modern Australian menu, showcasing the best of local produce whenever possible. Pretty much everything is produced by the kitchen from the ground up; from the house baked bread to their delicious charcuterie. For a special occasion, an absolute must-try is the seven-course degustation menu, which will take you on a sensory journey from start to finish. There’s also a sun drenched alfresco deck, perfect for a pre-dinner aperitivo. Stay at the hotel for the ultimate weekend indulgence package. If Japanese and French fusion food is more your thing, head to Kazuki’s at the Raglan. Born in Akita, owner-chef Kazuki Tsuya brings his Japanese heritage combined with his French culinary experience to create a memorable menu. Expect twists on Japanese classics like the Moreton Bay bug dumplings with sake emulsion, pinzu jelly and rainbow chard and the beef tataki with pickles, puffed rice and horseradish. A two course menu starts from $65 per person, or you can fully immerse yourself in the Japanese experience with the seasonal tasting menu option for $120. For a glammed up take on pub food, The Farmers Arms is a must visit. Opening in 1857, The Farmers Arms has a friendly and cosy atmosphere, full of country charm and style. On the menu, there’s all the great pub classics like fish and chips, pork belly and steak, while the lighter style mains showcase dishes with an Asian twist. Think a spicy Korean bibimap with kim chi and Thai sticky pork. It’s interesting to see a country pub showcase such a diverse range of international cuisine. There’s a great mix of locals and tourists here, so you never know who you may meet at the bar. They also have a Friday night meat raffle where they raise money for local charities. The beer garden is the perfect spot for basking in the sunshine on summer days. Conveniently positioned on Vincent Street, Larder has developed quite the following amongst brunch and coffee enthusiasts. The all day breakfast menu features inventive classics like a comforting vanilla rice pudding, quinoa potato cakes with gravalax, or if you’re feeling really hungry, the Larder Big Breakfast! For lunch you can wrap your lips around the pulled pork and slaw roll (my personal fave) or the Larder Tasting Plate, ideal for an afternoon of grazing. There’s also a great selection of gourmet goodies to take home or pack a picnic with. And the coffee is not bad either. Neighbour, Bocconcini, is also a reliable favourite for breakfast. The European style delicatessen is always stocked full of sumptuous produce and tasty treats. And they have a rather delicious range of French cheese. Shhh. Wander down the garden path of Daylesford’s enchanting Wombat Hill Botanical Gardens and you’ll find the charming Wombat Hill House Café. The original 1940s caretaker’s cottage has been beautifully restored to blend in seamlessly with its natural surrounds. The menu is thoughtfully prepared and offers diners relaxed simple fare. Early risers can enjoy a sumptuous selection of homemade crumpets with Istra bacon and maple syrup, free range eggs (all ways) and granola with sheep’s milk yoghurt. Don’t leave home without having a casual meander around the gorgeous gardens and burn off your brunch by climbing the top of Pioneers Lookout Tower. Many of the above brunch cafes double as coffee spots, but if you’re looking for more options for a quality brew, check out Buffalo Soldier Coffee Company. 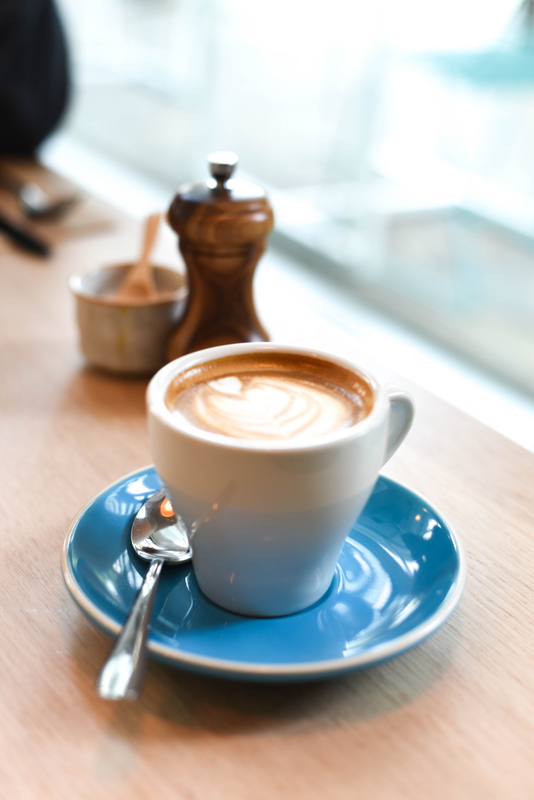 Hidden behind the Coles supermarket in the car park, the coffee shop provides a much-needed artisanal coffee experience for Daylesford residents and tourists. As well as a signature house blend, it offers a number of rotating single origins from Africa. Another popular local haunt is Cliffy’s, which is full of country hospitality and charm. The kitsch cafe also doubles as a retail outlet and is the perfect spot to stock up on premium local and regional produce (with a focus on seasonal organic fare). The menu changes daily, depending on what’s in season and growing in the garden. It may not have the best coffee in town, but as far as locations go, you can’t beat the Book Barn by the lake. Specialising in selling rare and unusual second hand books, the store also doubles as a cafe. Retreat to the outdoor deck and overlook the tranquil waters of Lake Daylesford, while enjoying a cup of coffee and one of their delicious cakes from the counter. Sweet tooths will love Sweet Decadence at Locantro, the first coffee shop in Daylesford and the first handmade chocolate shop in country Victoria. This is the place to come for scones with jam and cream, cakes and most importantly the chocolate, which is handmade on site. There is always a delicious range of chocolate on display, from the simple milk variety to lavender truffles. 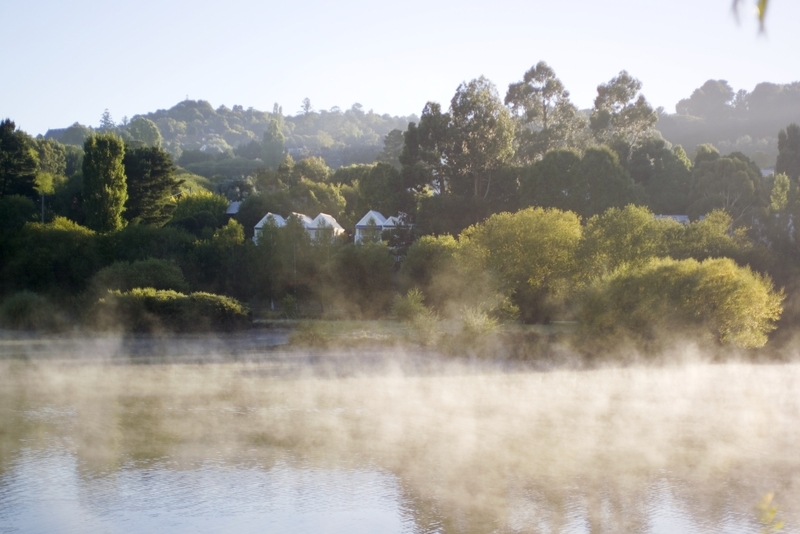 Start your morning with a walk along the picturesque Lake Daylesford (approximately 30 – 40 minute round trip). After wildlife and bird watching, venture to Vincent Street and stop for breakfast at one of the town’s many coffee shops and browse the cute boutiques. Shopping enthusiasts will love Daylesford for its quirky range of shops and designer boutiques. The Daylesford Sunday Market is held every Sunday 8am – 3pm at Daylesford Station, offering a great range of fresh produce and goods, including antiques and collectibles. For local produce the Daylesford Farmers Market is a fun experience, held on the first Saturday of the month – a great opportunity to meet local growers and sample some of their produce. Collectors will love the Amazing Mill Market, chock full of vintage clothes, furniture, collectables and antiques. You could spend hours wandering around the hundreds of stalls in this lofty warehouse. You never know what treasure you may find! 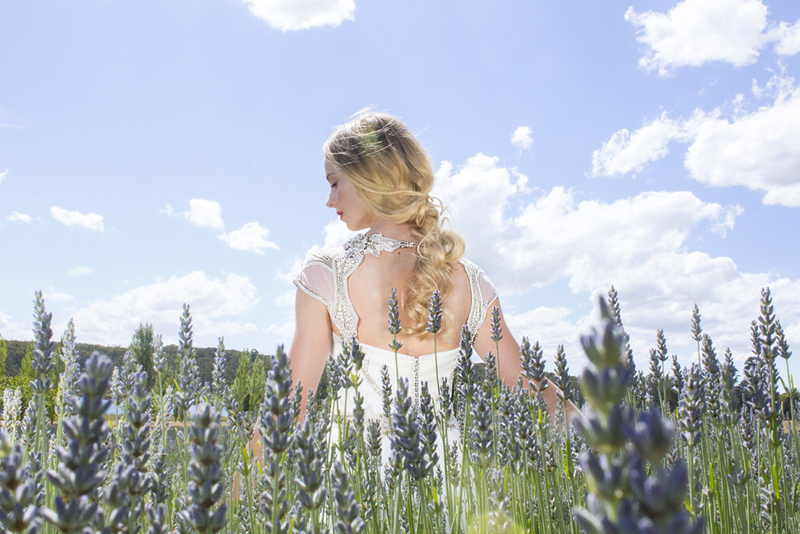 Daylesford is called Victoria’s ‘spa country’ for a reason. Daylesford and Hepburn Springs are world-famous for their 72 health-giving mineral springs and over 30 spas, wellness retreats and healing centres. Indulge and pamper yourself in one of its mineral spas or enjoy a relaxation or hot rock massage at its plethora of day spas including Salus at the Lake House and Hepburn Bathhouse and Spa. The Covent Gallery is another must-visit. A 19th Century Victorian mansion houses seven galleries featuring work by over 100 local, national and international artists. The six acres of beautifully manicured gardens also deserve a wander, boasting spectacular views over Daylesford and beyond. From here, you can venture to Wombat Hill Botanical Gardens – a gorgeous place for a picnic. Of course this is only a quick sample of the many things to do in this beautiful region. Lake House Daylesford ($$$) Perfectly positioned on the shores of Lake Daylesford, the Lake House is a tranquil retreat with a wide range of accommodation available. Frangos and Frangos ($$$) An eclectic boutique hotel in the heart of Daylesford. Handcrafted artefacts, lush textures, stunning art and furnishings is part of the overall experience. 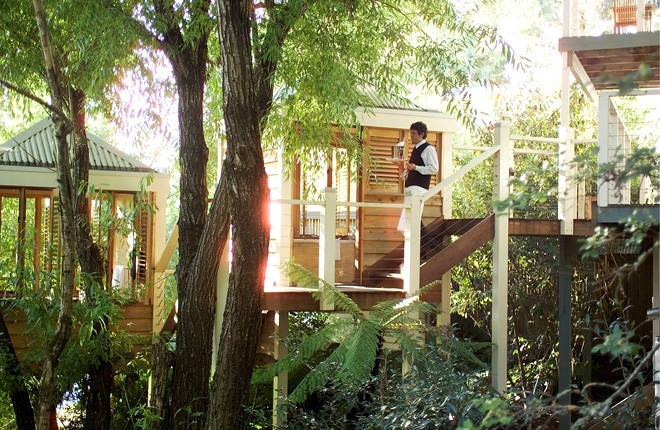 Astley Spa Cottage ($$) A secluded romantic retreat, perfect for a cosy private getaway nestled in the Doctors Gully.